A series of bilingual books that support our multilingual homes, classrooms and libraries. They are designed for early childhood, primary and family learning. An introduction to cultural images from each country with words and phrases in English and the language of country in que... read full description below. A series of bilingual books that support our multilingual homes, classrooms and libraries. They are designed for early childhood, primary and family learning. An introduction to cultural images from each country with words and phrases in English and the language of country in question. 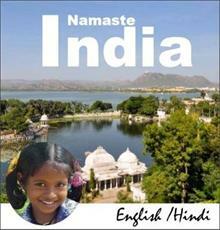 Promotes cross cultural understanding and informs vocabulary.